Dion Chang captivated his audience last night at his talk on the iCitizen: The day in the life of the digital nomad. Siemens customers are no strangers to the innovation and ground-breaking technologies that the company invests to ensure a seamless life created effortlessly with the extraordinary features. 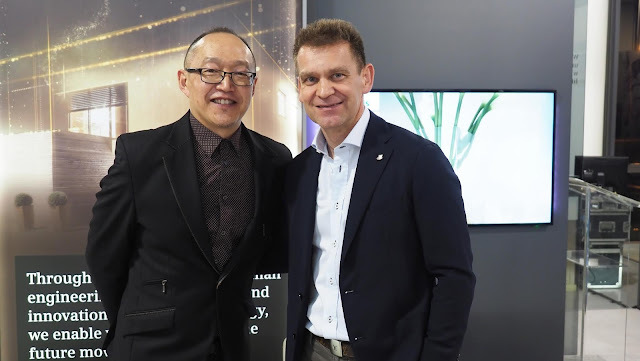 Consumers only had to follow the trends and announcements at EuroCucina this year to know just how competitive the digital consumer-centric space really is, regardless of industry and product. 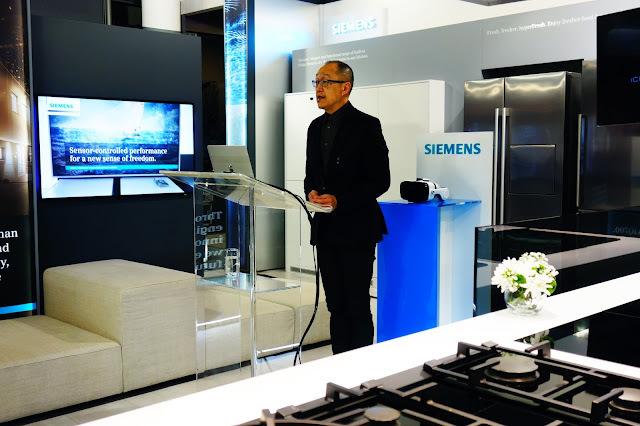 Some of the highlights included the Siemens Home Connect making it possible for consumers to view the contents of their fridge or setting the oven temperature while sitting at work or perhaps getting caught up in the grocery store. “The talk highlights how flexible we should be as employers, consumers, and brands in today’s digital world. From human digital identification chips to nomadic employees, the world is rapidly changing. The facts will either scare you or excite you, either way, these changes are happening now and it is our choice on how susceptible we are to embrace this new age”, says Dion Chang. As always, Dion gave guests some food for thought, challenged opinions and made everyone realize that the technological advancements that we may regard as far-fetched Sci-Fi is in actual-fact on our doorstep. Chang is known for rattling traditional cages in a world struggling to adapt to a new world order, he uses a global perspective to gauge the zeitgeist and track ahead-of-the-curve trends to identify shifting business templates. With 20 years’ experience in the magazine industry as a journalist and media spokesperson, he is able to provide insights into the ever-changing relationship between brands, consumers and the communication channels that bind them. He specializes as a disruption management consultant and is passionate about embedding a culture of innovation into corporate operating systems. He has a deep affiliation for youth trends and subcultures, their impact, and influence on our new world order, as well as innovative ideas for greater good. Chang is also part of Flux Trends specializes in understanding consumer mindset and identifying unexpected business opportunities within shifting trends, ensuring that global trends have relevance when translated for African, and South African businesses. Siemens Home Appliances is the brand that provides its customers with a captivating product experience - a brand for the unexpected and exhilarating new opportunities in life. This brand contributes to the metropolitan lifestyle with architectural aesthetics and timeless design. In terms of technology, the brand’s focus on connectivity and flexibility has enabled them to become the worldwide market leader in innovation. For more information about how Siemens can help you to bring recipes to life through innovation and technology, feel free to visit their website; https://www.siemens.com/za/en/home.html.